How To Get Rid of Smoker's Lines! So one very frequent question I am asked in my clinic, is ‘can you get rid of this tiny line on my top lip’. My usual response is ‘what line?’. Strangely, lines on the top lip, sometimes known as smoker’s lines, are much more obvious to us than to those around us. Quite a few clients have commented that when talking to strangers or people they know, they feel as if the other person is permanently staring at their top lip. 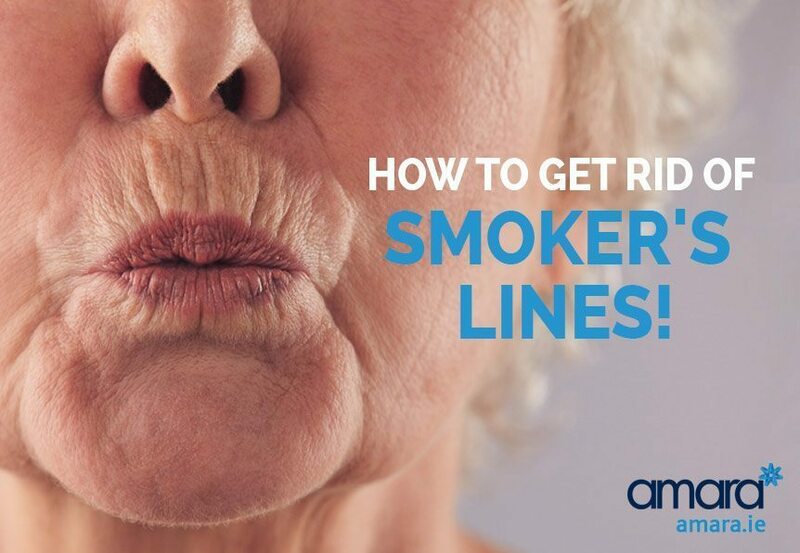 These lines are called ‘smoker’s lines’, but they aren’t just as a result of smoking! They are as a result of volume and definition loss in the tiny and fine structures around the lip. Smoking as well as pouting (think duck face), drinking from a straw or chewing your lip can lead to what we call smoker’s lines. The lips are very complex structures: Try and draw a pair of lips – you will see how difficult it is to draw them right. Look at paintings by artists from da Vinci to cartoonists and you can see that small changes in lips make big differences. The most important part of the lip is the cupids bow of the top lip – this is the beautifying part of the lip and what keeps the lip looking youthful. There are hundreds of techniques when it comes to applying lipstick and liner and most of these aim to produce a highlight in the centre of the lips and a sharp edge between the white top lip and the red of the top lip. As we age, and especially with smoking, you will find that the top lip loses this definition and we start to get breaks in the continuous lines, (lipstick bleed lines). It becomes difficult to have a sharp lip edge as your cupids bow becomes less solid, and unfortunately the longer you leave it without correcting, the harder it becomes to repair. How To Get Rid of Smokers Lines? The other line to treat is from the glogau klein point up to the nose (the philtrum). These lines combined result in up to 50% improvement in smokers lines. After this we treat the lines themselves directly. I treat any other structural support that may be lacking in the top lip (this can often be lacking just above the cupids bow in the white lip particularly on the sides) with some lip fillers. Take a look at these before and after photos to see the difference that treating Smoker’s Lines makes. At our skincare clinic in Dublin we’ve treated hundreds of patients with varying degrees of smoker’s lines and get great results each time. If you’d like to arrange a consultation then contact us today to see how we can help. Hi just wondering about the cost of filler for smokers lines. Hi Fiona, Smokers lines are more likely yot b be treated with Botox, however, the doctor can cover this at your consultation. 1 area of Botox costs €300.